Now I won the travelling pattern Tending The Blooms though I didn't realise I was signing up for it. It arrived at a really bad time! A couple of days before we were doing our big moving day. So it took me a little while to start it though the first moment I could I found the threads and got going. 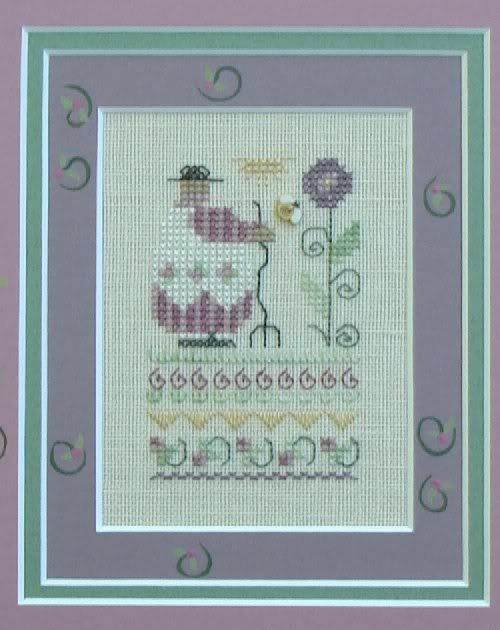 Now I took one look at this pattern and said I love the design but don't like the dull colours. I have never been a real fan of the dulled colours though they look pretty I like bright colours. So I picked out some new colours. Instead of dusty pink I picked out hot pink! and because mum said why do you always have to have purple when I was picking bright purple for the flowers I changed it to blue. I had lots of fun with this pattern trying new stitches and making it look pretty. and here is the finished product. Lovely and bright. I did it one strand over 2 like the pattern said though if I had thought beforehand I would have changed to 2 strands but I was too lazy as well. The only thing left to do for this pattern is find a charm for the bee. That may take a while but I'm not in a rush. YES! YES! YES! I would love to stitch this pattern! Thanks. Love the colour changes that you made! 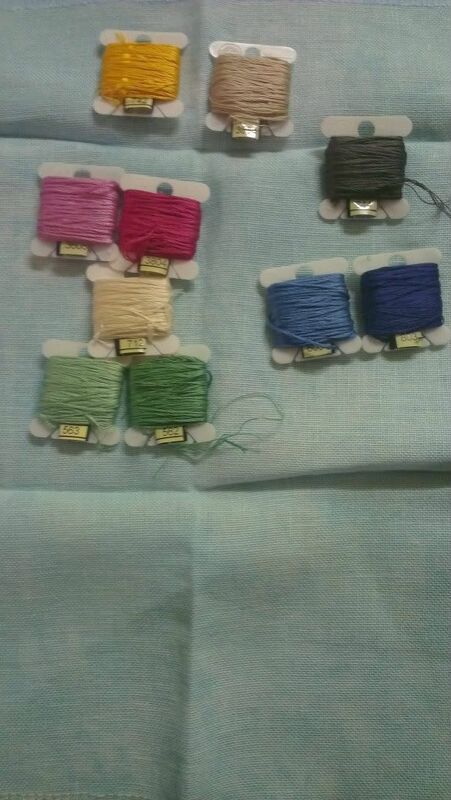 Please put me in for the chance to be the next stitcher. I like the colors you chose. Please enter me in your drawing. LOL! Can you tell I want it bad? ^.^ Love your finish and the colour changes you've made to it. I love your colour conversion , very pretty . Love the colour changes you made. 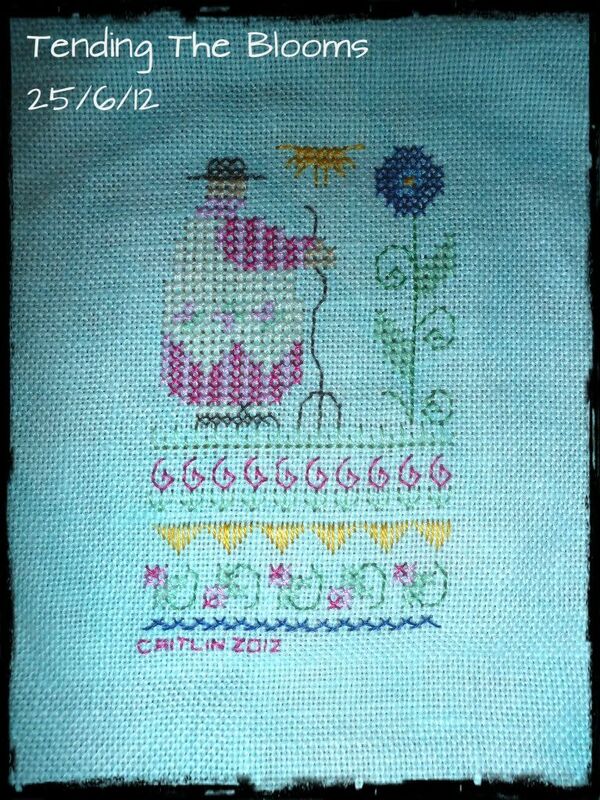 I would love to be the next stitcher - please add me to your draw. Wow! You certainly stitched it up quick, even in the middle of moving! I love your bright colors, but don't add my name to the drawing. I have more than enough WIPs right now! Your bright colors look great! Please include me in the drawing. I would love to stitch this pattern. So cute and I'd love to be the recipient of this travelling chart! What a cute pattern. I love the colors you chose. They really make the design come to life. Please enter me in the drawing if it not too late. Have a great day!